Lake County promotes its friendliness to recreation, especially cycling, where one can pedal for miles on rolling green hills. The county’s motto is “Real Florida. Real Close” — though presumably that doesn’t mean face down on the asphalt. Yet that’s the threat felt by some bike riders who say drivers are becoming increasingly aggressive, with reported near misses and threats of worse. Recent posts on a Lake community Facebook page took aim at bike riders, the Sentinel reported, even suggesting “double points” for hitting “a whole pack (of cyclists).” Another suggested throwing tacks on the road, presumably to puncture skinny bike tires. Apparently no such threats have been acted out, but if Lake County wants to promote its outdoor recreation industry, threatening behavior needs a stern response. 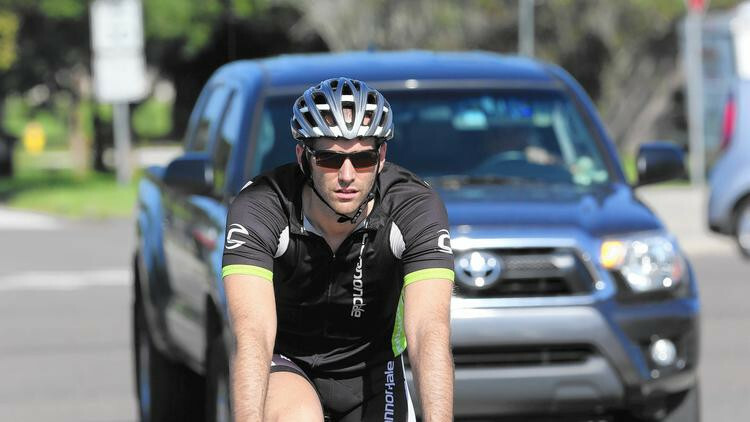 Road rage toward cyclists isn’t exclusive to Lake County, of course. Central Florida is one of the most dangerous places in the nation for cyclists and pedestrians — a deadly mix of increased traffic, driver frustration and poorly designed roads. Some bike riders share the blame through arrogant disdain for rules of the road. So what can be done to lessen hostile encounters between cars and bikes? The first step is for both drivers and cyclists to admit that each has a right to be there and the responsibility to educate themselves on the laws. For example, motorists must give cyclists at least three feet of clearance when passing, and cyclists cannot willfully impede traffic when traveling below the posted speed limit. More information is available at the floridabicycle.org website. For lasting change, elected officials need to be held accountable. Recently, Orange County Mayor Teresa Jacobs proposed a far-reaching plan, which we lauded, that includes spending $200 million to build and expand roads. If those projects don’t adequately address bicycle safety, however, it will be a missed opportunity. Expediting car travel alone isn’t sufficient to ensure quality-of-life enhancements. Local governments seeking a model on this issue can look to the Florida Department of Transportation. It has a policy known as “Complete Streets” that aims to accommodate the needs of all users when designing and building roads. And FDOT has the right person in charge of implementing the policy: District 1 Secretary Billy Hattaway. It bears repeating: It’s going to take all of us to make the roads safer.